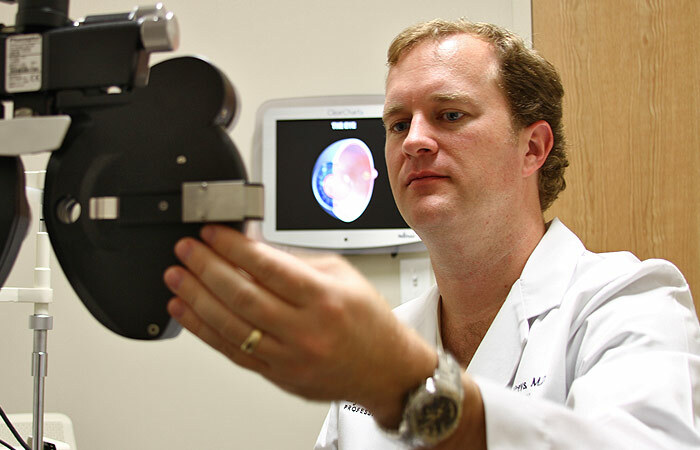 Eyecare Professionals has been serving the Central Mississippi area and the surrounding region for nearly two full decades. Along with our on site, state-of-the-art Eyecare Surgery Center, Eyecare Professionals offers the full spectrum of eyecare services using the latest technologies. Eyecare Professionals is one of the first practices in Mississippi to offer lens & Laser Cataract Surgery, Blade-Free Lasik and premium lens implants. Through our on-site Eyebar Optical Shop, Eyecare Professionals also offers on-site optical products featuring a wide assortment of lens and frame styles to suit any preference—including contact lenses. Our modern 7,500 square foot practice features more than ten exam rooms and multiple diagnostic and testing areas – all in a comfortable, conveniently located environment. Our street level location on Lakeland Drive near I-55 offers ample parking literally steps from our front door. You may not realize it, but when your sight is compromised, your quality of life is compromised. Whether you are a candidate for corrective eye surgery or simply need an eye exam—or one for your family member—we welcome the opportunity to serve you.